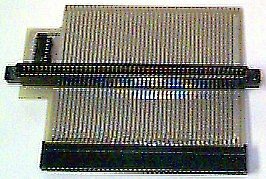 A Zorro extender for the A500 and A1000 which connects to the side expansion slot and provides it with one Zorro II slot. It also includes a pass-thru for attaching additional peripherals. The original Slingshot does not have the 86pin pass-thru.